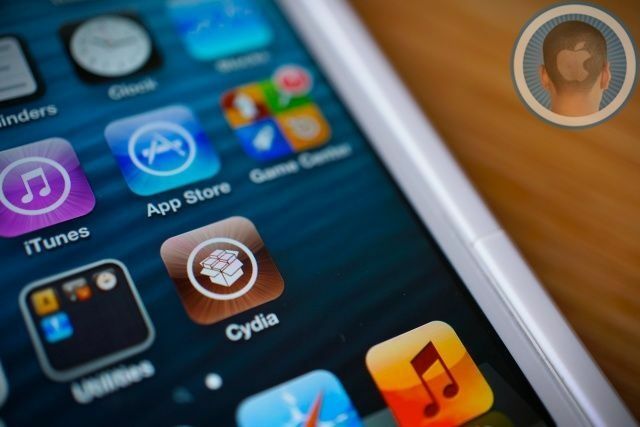 Apple has been using ideas that originated in the jailbreak community for years. A jailbreak tweak called MobileNotifier enhanced push notifications in iOS 4, and Apple hired the guy who made it and released Notification Center in iOS 5. Jailbreakers were doing multitasking and tethering before Apple too. Looking ahead at iOS 7, I honestly have no idea what to expect from Apple. Jony Ive has never really been a big fan of skeuomorphism, so flatter and more minimalist graphics wouldn’t surprise me. Some truly innovate ideas for enhancing the iOS experience have arisen in the past year, and I think it would be foolish for Apple to not at least draw inspiration from these three. 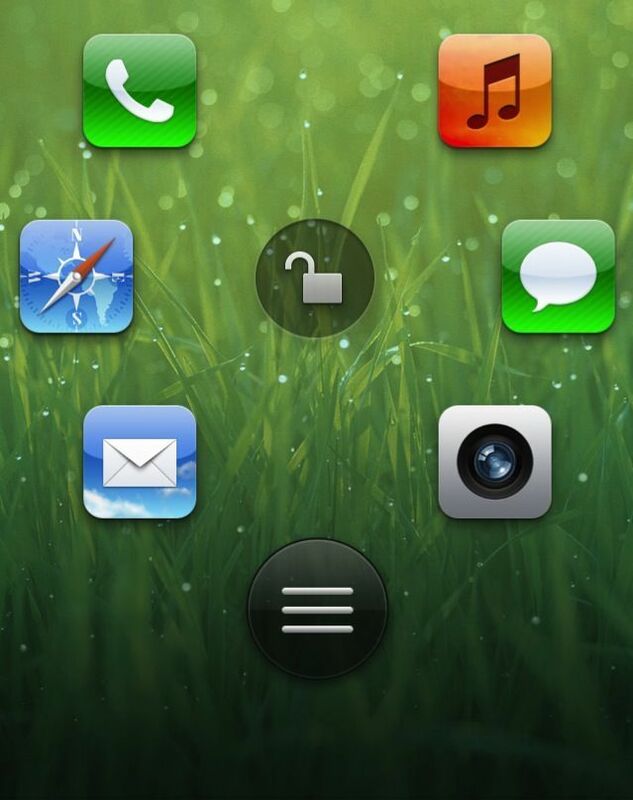 A jailbreak tweak called Auxo started as a concept online. The idea got so much attention that the designer decided to try his hand at creating it for jailbroken iPhones. 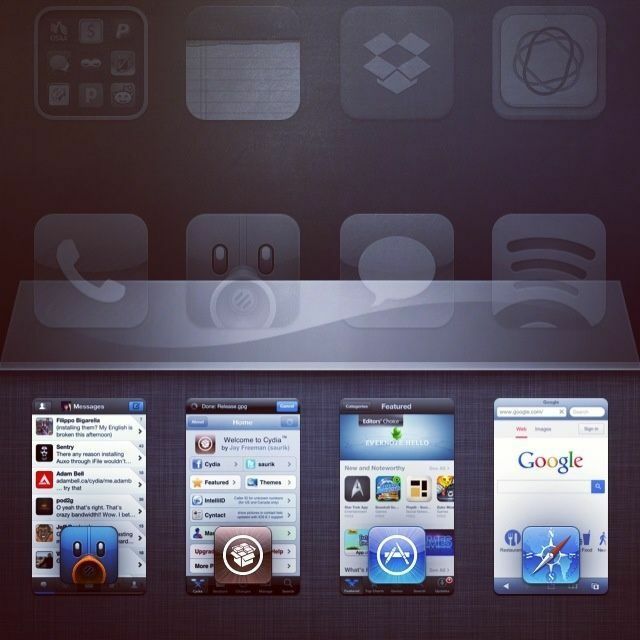 Auxo is an utterly brilliant app switcher replacement. It’s not perfect, but it’s way better than what Apple had by default. Card-like tiles show live previews of the apps you have open, and swiping down on a tile closes the app. Swiping to the left gives you access to system toggles, like screen brightness and WiFi. You can customize which toggles are displayed. Swiping to the left again gives you access to enhanced music controls. While I’m not convinced that multitasking should be confined to a bottom tray in iOS, there’s something great about the fluidity of Auxo. The tiles make better use of the iPhone’s screen while the switcher is live. Take note, Apple. Abstergo is a more recent jailbreak tweak who’s name means “to wipe away” in Latin. Notification Center is decent, but you don’t really have fine control over managing notifications. Abstergo lets you swipe to clear each individual notification, and you can swipe up and over to clear all unread notifications from the lockscreen. 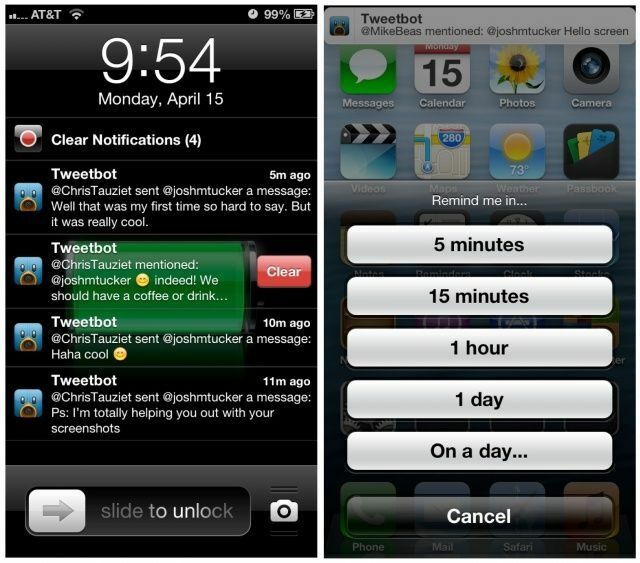 Another handy part of this tweak is the ability to set reminders for individual notifications. Tapping and holding a message cell lets you set a specific time to make the notification push back to your device. Reminders also work in the Messages app, which is super handy. Apple could easily adopt something like this using the architecture that is already built into iOS. Slide to unlock. The iOS lockscreen is boring. There’s a lot that can be done with this part of the experience, and jailbreakers have been experimenting with it for years. A newer lockscreen tweak called atom is my favorite so far. Many tweaks for the lockscreen add widgets for things like RSS and Mail, but I think the first screen you see on your iPhone needs to remain simple. And simple does not mean boring. Quickly launching a short list of favorite apps is the activity to add to the lockscreen, and atom does it beautifully. The unlock slider is replaced by an elegant little button. Tapping and holding the button unfolds a group of app icons you pre-set. Dragging the button over an icon and letting go instantly opens the highlighted app. Apple probably won’t implement something exactly like atom, but it’s clear that the lockscreen has plenty of untapped potential, like the rest of iOS.